This VERY limited edition CD was released to celebrate and complement the "Body Parts" short film project for which star*key produced the music. As part of the Kickstarter campaign for the project, Branwen offered backers a special created CD containing all the original star*key music to date. 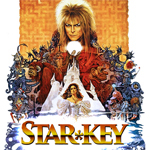 Entitled "star*key so far", the disc will only be available while stocks last. All tracks written, performed and produced by Seah-Maria and Branwen Somatik at GoldHill Studio. Track 1 features drum programming by Oli Morgan. Click here to order the CD for £5.00. Branwen aka Somatik launches this new ambient project KAL*EYE*DOSCOPE on her own GoldHill label. 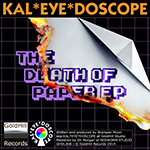 "The Death of Paper" is a dreamlike 'concept' EP of four tracks, all created in GoldHill Studio and mastered by sonic sculptor Oli Morgan of REDWORM STUDIOS. Click here to buy the digital download for £2.00 from the GoldHill Bandcamp page. 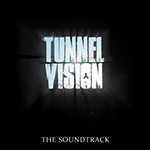 The feature film "Tunnel Vision" is a supernatural thriller created by GoldHill Productions and the Attic Players of Newcastle Emlyn in west Wales. It was screened during March 2014 in the Attic Theatre to much acclaim! This compilation contains the hauntingly atmospheric soundtrack produced by star*key (Branwen Somatik and Seah-Maria) along with several songs by star*key and other local artists which were featured in scenes from the film. Includes tracks by Rye Milligan, Silas Black, Hidden, and the Ysgol Gyfun Emlyn All-Stars, as well as the song from the credits, star*key's "The One". Click here to buy the digital download or CD for £5.00 from the GoldHill Bandcamp page. "Eternity" and sister track "The Beast" see star*key continuing in the moody, ethereal direction of last year's debut "No Way Out". Atmospheric guitars and twisted Moog layers interweave with Seah-Maria's spine-tingling vocals over quirky, dub-infused beats. Lyrically, these two stories see star*key no longer the victim, but very much in control. Be afraid! 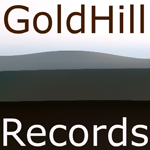 Click here to download for free from the GoldHill Bandcamp page. Additional drum programming on "No Way Out" by Oli Morgan. Click here to buy the digital download for £1.20 from the GoldHill Bandcamp page. Talented, young producer Oli Morgan delivers some atmospheric dubstep and progressive house on his fantastic five-track debut. Featuring the haunting vocals of Meg Ella and Seah-Maria, "Say Yes" is a classic in the making. Don't miss out on this exciting GoldHill Release! Written, performed and produced by Oli Morgan. Vocals by Meg Ella and Seah-Maria. Click here to buy the digital download for £3.00 from the GoldHill Bandcamp page. 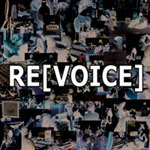 The RE[VOICE] remix album is part of the [VOICE] project, started as a fund-raiser for equipment for enthusiastic but under-equipped Music Technology students at Ysgol Gyfun Emlyn in west Wales. The project snowballed, raising enough money to buy two new computers and developing from a 24 hour sponsored recording session into an album, a follow-up album of remixes, and finally a live performance of the whole original [VOICE] album in 2011. The remix album was the second stage of the project, where members of the [VOICE] team created a diverse selection of remixes of songs from the original 24 hour session. It is still available as a download for only £1.00, though if you'd like to support our local young people and are feeling generous you may enter more at the payment page. All profits from the download of this release will go towards equipment and resources for the Ysgol Gyfun Emlyn Music Technology department. Click here to buy the digital download for £1.00 (or more!) from the GoldHill Bandcamp page. Between July the 10th and 11th, 2010, twelve students and their Music Technology tutor embarked upon a sponsored non-stop 24 hour recording session at Ysgol Gyfun Emlyn in west Wales. 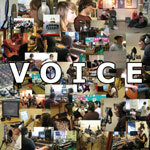 The result was the much-praised '[VOICE]' album, a diverse collection of quality music ranging from pop songs, to grungy rock, to electronica and folk. All proceeds from the CD go towards equipment and resources for the Music Technology department at the school. 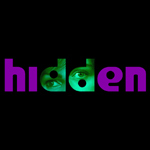 Five years in the making, the Hidden album is a beautiful collaboration between talented singer/songwriter Lita Joy and versatile producer/engineer Branwen Somatik. The two shared flashes of sonic inspiration and lyrical adventures in studios in London and west Wales between 2004 and 2009, steadily creating twelve tracks of colourful stories and cinematic musical imagery. Much anticipated by fans of Somatik and Lita alike, the album finally meets an eager audience. Written by Branwen Somatik and Lita Joy. All instruments by Branwen Somatik. Click here to buy the digital download or CD for £3.00 from the GoldHill Bandcamp page. 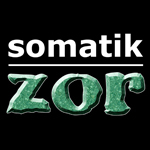 Over a decade ago Somatik produced a drum & bass track entitled "Zor". 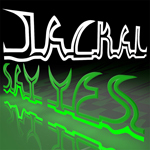 It was quickly selected by Talvin Singh for the follow up compilation to the seminal "Anokha | Soundz of the Asian Underground" album. Sadly however, the Anokha 2 album never surfaced despite making it as far as mastering. For several years "Zor" was in limbo, though continually causing dub-plate chaos at clubnights in the UK and India, as well as featuring regularly on a number of radio shows, notably Electro East and Friction shows on BBC Asian Network. Branwen Somatik finally released the track alongside "Yad", an intense Bollywood flavoured drum and bass work-out, on GoldHill Records. Written, performed and produced by Branwen Somatik. Click here to buy the digital download for £0.50 from the GoldHill Bandcamp page. Body Parts is a short film/music video project directed by Branwen Munn and featuring music by star*key. A 5.1 mix of the song itself appears and re-appears at various stages of the film, and a stereo, complete version of it is available from the GoldHill Bandcamp page. Written, performed and produced by Seah-Maria and Branwen Somatik at GoldHill Studio, 2015. Click here to order the "Body Parts" DVD, including the short film, a 55 minute in-depth 'making of' documentary and the video for star*key's 2014 song "The One"
Click here to download the song for £0.79 from the GoldHill Bandcamp page. Also available on the limited edition CD release "star*key so far". 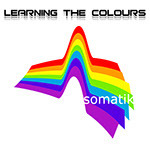 Branwen Somatik's debut album "Learning the Colours" was released in May 2007, launching GoldHill Records as a part of the process! Featuring an eclectic mix of broken beat and downtempo electronic flavoured with Branwen's trademark Asian-flavoured samples and thick synth basslines, the album was a culmination of her years working as a part of the Twisted Funk west London music scene. Features the Twisted Funk floor-filler "Interaktion". Seah-Maria and Branwen Somatik aka star*key are back, this time with a one-off cover version of David Bowie's song "As the World Falls Down" from the 1986 film Labyrinth. Click here to download the song for FREE from Branwen's Soundcloud page, or click below to listen on YouTube. Established in west Wales in 2007, Branwen Munn's eclectic GoldHill Records celebrates diversity and innovation in popular music. From the broken beats and psychedelic textures of Branwen's own Somatik and Hidden aliases to the pioneering and inclusive [VOICE] project, GoldHill has more recently been energising audiences with releases from Branwen's new ambient project KAL*EYE*DOSCOPE and her collaboration star*key with the multi-talented Seah-Maria.